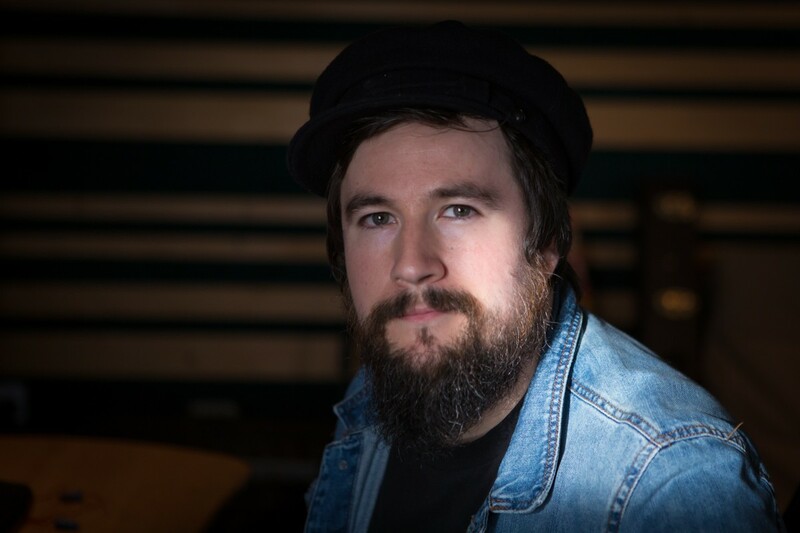 Going behind the scenes, Getintothis’ Martin Summerfield talks to Jose Ibanez, owner of 3rd Planet Recordings, music producer and guitarist in the band Jacobi. As music fans, as opposed to artists or producers, it can be all too easy to listen to a record and only take in what we hear on the face of it. In a way, this is probably high praise to the creators. If it sounds like it was easy to make, then they have more than done their job well. But, the truth is that making a record is back-breaking work. It isn’t an easy task, and perhaps when listening, we should think of the people who put all those hours into making something for us to listen to in awe – and occasionally, disgust. Elsewhere on Getintothis, we have spoken to great artists, legendary producers, important sidemen, and we often laud indie labels in our Labels of Love section. But never have we gone behind the scenes at an actual recording studio. So, earlier this year, we sat down with Spanish-born Jose Ibanez, owner and in-house producer at 3rd Planet Recording Studios, located on Boundary Street in Liverpool. We had an in-depth chat about his work as a producer, his approaches when dealing with young acts, the realities of recording for bands in the city today, and balancing the studio with his own band, Jacobi. Getintothis: What’s it like being in the position of being in a band, running a studio and acting as a producer? Jose: Being in a band for so many years really helps the communication. Sometimes you have to do a real psychology with them, you know? The most important thing as a producer is trying to get the best for what they want from their ideas, suggest things incorporate new stuff. It’s good [for them]to know that there’s someone who’s been in their position, because they’re paying money to record in a studio. That’s what I like about being a producer, to create stuff and suggest things try to help them. Because I’ve been there before, I can communicate with them. That’s why sometimes I’ll get involved, put a solo on a track, some backing vocals, and sometimes they’ll ask me to guest when they play a gig. It’s beautiful, it’s like being in 12 bands at a time. I mean my band is great I love it, we do this classic blues/rock this very basic guitar bass drums and vocals but with other bands you get involved in it’s like a joint project you get involved in together, it’s their baby and they ask you to play and they go to festivals and invite you to play. That’s what I really love about being a producer and a musician, getting involved with them. Jose: ...it helps and it can make your sound much like, I don’t want to say radio friendly, it’s more like to an extra level. Getintothis: Would you say more polished? Jose: Yeah, I’d say more polished. Definitely I think as well because we are music professionals we can tell when something expensive has been used on a track. Regular people use their iPhone or tablet, probably they won’t say it sounds good, but the precision is the main thing as well as the talent. If the band plays good and has nice gear and is handled by someone with experience the final product will sound much better, more competitive as well as so many bands are out there and so many bands on the radio. It just makes it sound so clear. That’s why I wanted to spend some time and money to make sure the studio looks and sounds professional. Getintothis: How would you say the space shapes the sound? Jose: Space shapes the sound – it definitely does, depends on what you want to achieve if you want a very grungey type of 90’s Nirvana sound for the drums it definitely helps to have a big room. In here I’m lucky in two ways – if I wanted that sound I just close the doors and the room is quite well isolated so I can get quite a dry sound if I’m doing some more indie drum sound – very close microphone to the drum, I’m talking about drum sounds and I’m talking about guitars as well. If you want a big sound like the album I’ve been recording with Jacobi it’s easier because I just open the doors and I’ve got 4 floors of stairwell going down so that’s like a natural chamber so the sound I put the microphones outside and the sound travels all the way down stairs and comes back and the room sounds like 10 times the size. Getintothis: Like a massive chamber? Jose: Yeah, so then it sounds great. Because it means I don’t need a massive room to create a big sound or drums , that very Bonham sound recording in big spaces. I’m happy because I’ve got two different rooms in one really. With guitars the same because like microphones they work anywhere, really. If you want some kind of natural reverb for example just put the mikes outside and it just works. The space about creativity this room is bigger than the live room, we have two spaces here where people can sit or lay down here whilst you do the work. There’s a lot of writing in the studio like last minute writing of lyrics, sometimes they realise “oh that doesn’t work” and then they just lie down and concentrate whilst I’m doing something with my headphones. And I think the space has decorated. We’ve got 360 degree views, we’ve got the River Mersey, The Wirral, Anfield and overnight we can see the sunset, it’s beautiful – it just creates a good environment. Because you know my old studio was in the basement, it was all quirky and everything with nice lights. But with this you can open the window and see everything. It depends on the musician, some musicians just want to be in a basement, like really dark, they prefer to work at night so they come at night because they prefer to work in the dark and just do recordings at 2 or 3 in the morning. It depends, I’m doing this album with Ellie May and she loves natural light, so she likes to just sit on the rug barefoot, no shoes, you know just enjoy the feel of the room and it definitely helps this place helps and that’s what i like about these studios, I feel like the space is right for different projects and different types of music. 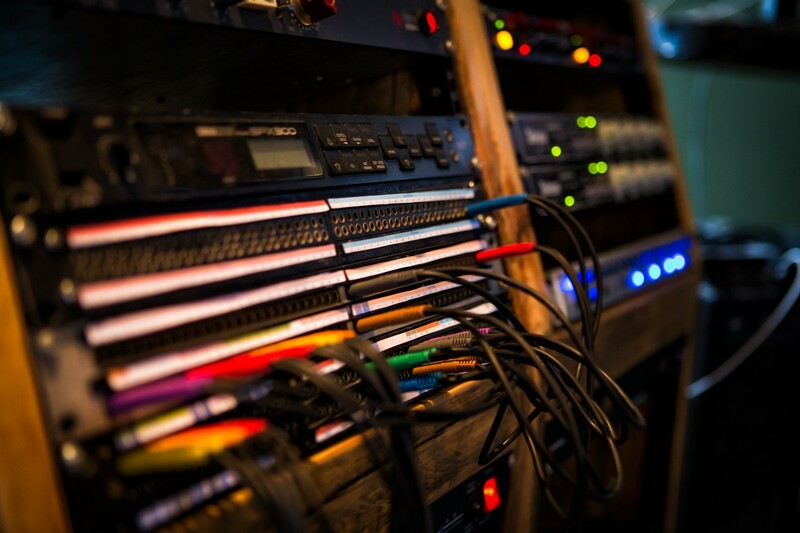 Getintothis: How much of a factor is managing time to record, as a band, and as a studio manager? Do you find it hard scheduling? Jose: I’m very flexible with times that people want to record. Some people want to do evenings because they feel more creative and better at night. Managing the bands is not difficult because they’re usually quite flexible as well. The bands I’ve recorded, they normally rehearse with another band or share a practice room. There’s always people getting in touch with me, which is great. But you have to be organised in terms of scheduling recording, because I do mastering as well so if they want to play that music on the radio the codes and the royalties as well so I do that for them and do invoices for them, I have to clean the studios make sure it’s tidy, not messy, no cables running around. Obviously when it’s a session it might be messy, have microphones everywhere but after the session everything’s cleaned up. One of the times I had to record a doom band, heavy metal, a little while ago, luckily we did it on the weekend, but they were so loud and the low end was so low – I think they play in Drop F which is the lowest tune you can achieve in the band. The building was shaking, my stomach was shaking because of the low frequencies, so after the sessions a few of the lights were coming out in the Live room, so we had to use the glue and put them back in, I was like “oh my god”. They’re due to come back soon to work on their EP, but it was a great experience as well, that’s what I like is the variety, you can do an indie band or acoustic bands or whatever, then you have a heavy metal band nearly destroying the place, but it’s definitely worth it and it was great. So you’ve got to be a multitasking job, you’re a businessman you have a shop, my wife helps me too, does the invoices ,tax returns, does whatever, it’s basically a business like every other business. Getintothis: But a business you enjoy. Getintothis: It must be something to do a job you enjoy going to that you’ve built from the ground up, that you’re passionate about that you look forward to coming into every day? Jose: I think that in life people worry sometimes too much about money, money’s very important because you’ve got to pay your bills and feed your family. I mean I’m a dad I’ve got two kids and a wife and that’s the most important thing in my scale is like love, family obviously and then work, but work you’ve got to love it. Last night I was talking to a musician at 11 o’ clock, I went to bed at 1 o’ clock because we’re talking about music and what he wants to do. This morning I was up at half 7 getting calls. But I’m here and I’m so happy to be here right now. You’ve got to do something you’re passionate about that you like. When people come here I just want them to be happy about it and to achieve what they wanted, and have nice accidents playing with instruments. Getintothis: Do you feel that with the way the landscape has changed with services like Bandcamp, Soundcloud and Spotify that it’s easier to get your voice out there or is it easier to get drowned out in all the noise? Jose: There’s so many bands at the moment that it’s very hard to get to people if they don’t know you. With bands, I think it’s a very important part of the product that they have to advertise themselves. 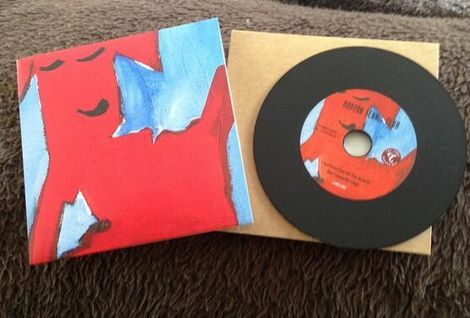 I’m old, I’m 32 now, and we’re going to send CD’s to labels the old fashioned way. I’m going to America in August and I was going to walk into the studios there and ask the receptionist to give them to the A&R people and they might say they don’t accept it and they’ll only take internet submissions but sometimes they say “yeah ok cool” and have a chat, you never know. But I always say to bands it’s important you get involved with the process. Don’t just send out a generic email to everyone, be more specific and do your work and research about who you want work with – if you want to work with a specific producer or label make sure you do the research what label it is, what kind of bands are they managing, what kind of music are they doing? I think videos are very important; I’m doing a partnership now with a company that make videos for bands in September, so we’re doing, one day, one track, one video. I think it’s going to be really interesting for bands, it gains more attention because you can actually see who these guys are. Ditto Music are revolutionising the way independent music operates and have been doing so for some time, read our interview with them here. Getintothis: In your personal experience as a band member, what would you say your rehearsals are generally like? Do you have a set time each week in which you practice or are rehearsals more spontaneous, or just whenever you can fit them in around your family life? Jose: We are very organised – we set up two days a week and we practice in the studio as well because this is our own space. We’ve got to the point now where we’re tight in our set – we’ve got 12 songs well rehearsed so we don’t have to practice that much in terms of gigging, because we do pretty much a gig a week or every two weeks. Playing live is very important for us in terms of being tight as a band live. Getintothis: Do you think that Liverpool’s unquenchable Beatlemania crowds out the chance for new sounds? Jose: Everyone outside the UK, if you ask them about Liverpool, automatically they’ll say Liverpool football club and The Beatles, but I don’t think necessarily that’s a bad thing. I mean fame and the tradition of music from the 60s, so they know it as a musical city. I’ll say I love The Beatles and my dad loves The Beatles but when you come here you realise it’s not only that. I realised when I started gigging [here]there’s so many bands with different styles, everyone’s got someone in their family that can play an instrument or is in a band or just love music and have lots of records at home. You can see the music culture in this country is so rich and that’s why I always wanted to visit the UK because of the tradition of English music. I always wanted to visit this town because of the tradition of music, because people always go “Let’s visit London” because London’s the capital, and London’s got a great scene, there’s so many bands there. But here it’s different, I think the north too, Scousers are the best people I’ve come across in the UK in terms of open minded, musical, funny, good people as well, so I really love the people and feel like part of the community now. 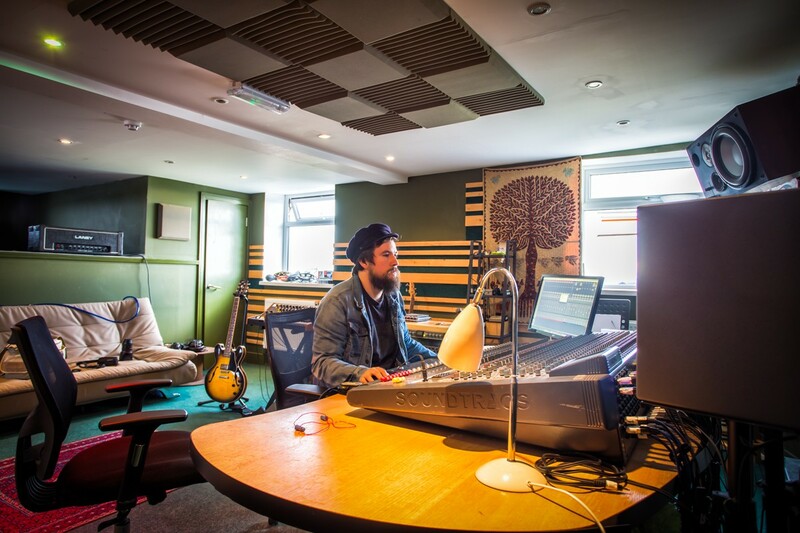 Getintothis: Can you briefly describe the music making process? Jose: Depends if we’re talking about production and producing a band it can be two ways. One way is we’ve got two days and we’re going to record a five track EP on the weekend, and then you mix and master it and everything. When they’re well rehearsed it’s all pretty much done so you just need to help in terms of techniques and sounds. Another option is when they want to record 12 songs but they want to record 4 so you go to their rehearsal, have a listen have a chat with them a few times, select the best bits and best songs and then record them and create an EP from those 10-12 songs. I’m doing that with a band from Blackpool called Tiger Tribe, we’ve done an EP of three tracks, I think this week we’re going to record 10 songs and select the best of them because they want to put an EP together but with the best they can achieve. There’s going to be a label involved as well, Skeleton Records. And the third option can be the album and the EP I did with Ellie Smith, she’s a singer/songwriter she writes songs with an acoustic guitar, so we start with an acoustic guitar and her vocals, I play bass for her and guitar, synths as well she play keyboards some pianos as well and we build the songs, we get a structure and build everything around it. We bring in a session drummer or use drum machines or whatever. We start with the writing process, and polish the song from a very basic kind of start with acoustic guitar and vocals. Sometimes that acoustic guitar disappears and it’s more electronic, vocals with the drum machines bass lines and stuff, sometimes it’s mainly acoustic guitar and the bass like a more traditional band set up and I think that’s pretty much the 3 options you can find at the moment. Some people have really good ideas of what they want to do so we come and do it, and I deliver quickly for them which is good as they pay for it so we make sure everything’s ready so they can just come in record it and I’ll mix it. 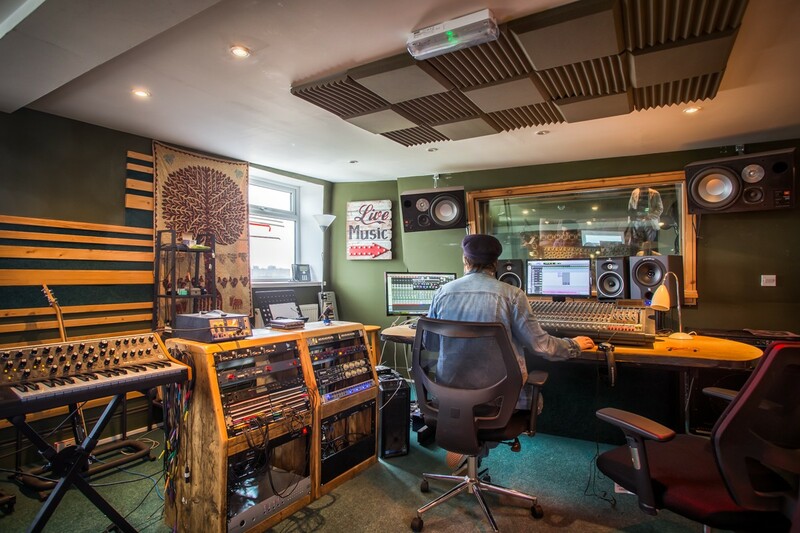 Getintothis: What factored in for you in creating the studio and the right feel for the studio? You were telling me earlier you begun with a smaller studio and you built this from the ground up. Jose: Exactly, depending on what you do and what style you do, and that’s what I love. I don’t mind spending the time finding the right tools before going to record. And they just feel much more relaxed and happier and that’s the main thing, when they’re recording they’re happier. When you’ve finished recording the guitar track the band goes “Oh that was amazing”, that’s what drives me to do this. They’re happy, I’m happy, that’s it. Getintothis: How much time would you say is spent in editing/post production? Does it vary from band to band? Jose: Depends from band to band and on how many overdubs we do as well. I did a project awhile ago I think the smallest session was 110 tracks, some bands just need drums, bass, two guitars left and right, vocals, some backing vocals and percussion. That’s the typical band recording. Because I work on the go, let’s say we do a guitar track and say “Let’s go and have a 5 minute break for a cigarette” whilst they’re outside I’m editing something so by the time we’ve finished the track in session it’s almost at the level it needs to be, and the day after I have to edit all the songs and then I can start mixing. With projects like Ellie Smith, it’s more like writing the music in here and then once everything has been written I’ll do the mix. But in the meantime if we’ve done a guitar track or something I’ll make sure I edit that so when we’re going to do the mixing process it’s all ready. So I’m pretty quick in terms of doing that because when it comes to the mix it’s just the mix. The drum sound is the most difficult sound to use, but I’ve got a lot of microphones set up and I’ve got a few techniques to use that make it sound really great. Someone said to me the other day “Jose, I’m bringing my band here because you get the best drum sound that I’ve heard” and they’ve recorded in other studios in town, so I’m really proud of it because I really make sure the drum sounds good because it’s the heart of the song really the rhythm section, so I pay special attention to it. Getintothis: Anything you’d like to share? Any upcoming shows/gigs/albums or singles for Jacobi? I know you mentioned an upcoming project in September for Jacobi earlier. Jose: Basically now we’re in the process of sending stuff away to see if we’ll get some response from labels and stuff. 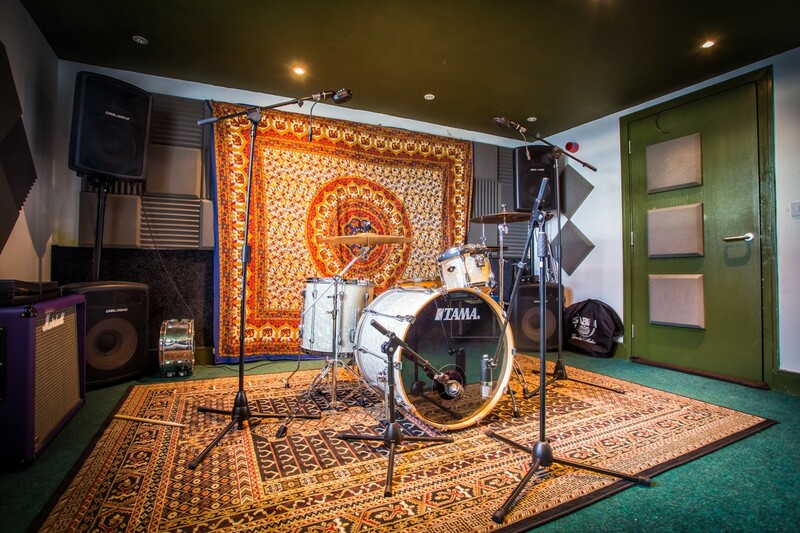 With projects in terms of the studio, the band is always an ongoing project because being in my band and recording here, rather than just doing a practice day we can experiment and record some bits in here. It’s good because we can use all this gear to create new stuff. With Jacobi, we’ve done an album that’s going to be out soon, but we’ve got another two albums of material that are works in progress. What else? This album I’m doing with another guy in September, it’s more of an acoustic album and I’m working with a band I can’t say to you yet I think, because it’s an American producer coming over to record here – this guy has worked with David Bowie and Green Day so basically they got in touch and they’re going to do four or five tracks and they’re going to come here and take the stuff to LA and mix it there and use the tracking studio here. They wanted to work with me and cut an album with me. Obviously this opportunity arrived and I thought these opportunities don’t come that easily so being more like a friend rather than a businessman I said to the band “Go for it, it’s definitely a good opportunity”, so rather than them going to LA and recording there we agreed it was easier for the producer to come here. Previous ArticleIntroducing: ROCH, Hot Cops, DIET.